Looking for music cutter software? Sometimes, you might need to remove unwanted segments from an audio recording, crop a song to create a ringtone, or even shorten an audiobook. 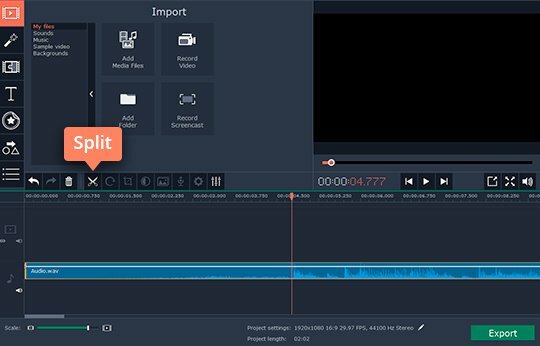 What you need is a simple audio cutter – like Movavi Video Editor. 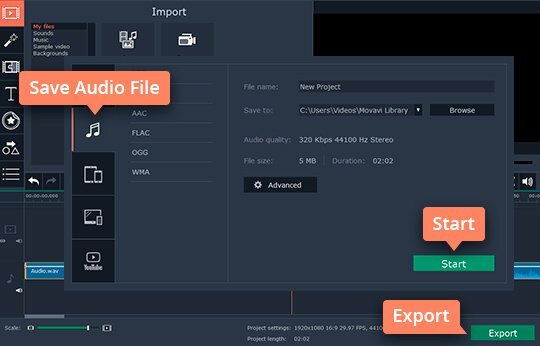 It’s an easy-to-use program for PC and Mac that can help you cut songs, stitch audio files together, and perform many other multimedia editing tasks. 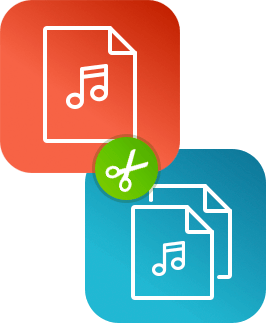 Our song cutter supports all popular formats, including WAV, WMA, FLAC, and others. 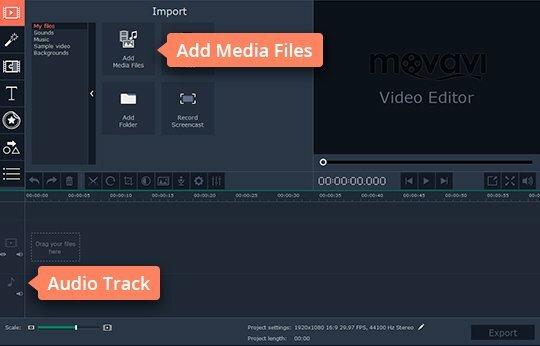 Download Movavi Video Editor and learn how to crop music with our quick guide below. Launch the installation file you’ve downloaded and follow the on-screen instructions. When the installation is complete, the program will start automatically. In the welcome window, choose New Project. Then click Add Media Files and choose the audio files you want to work with. You can also simply drag the files from their folder to the Timeline in the lower part of the program window. The files you’ve added will appear on the Audio Track. To cut an audio file, place the red marker at the desired start or end point on the Timeline and click the Split icon. You can cut your audio as many times as you want. To remove any unwanted part, just select it and hit Delete. If you want to join multiple audio segments together, position them one after another on the Timeline by just dragging and dropping them. Click the Export button and choose the Save Audio File tab. Select the desired format and hit Start. 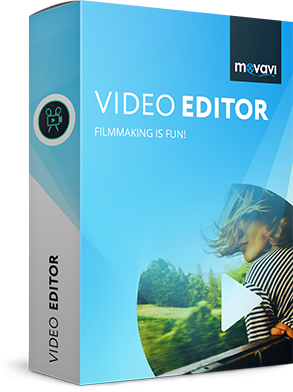 Now you know how to cut music with Movavi Video Editor.